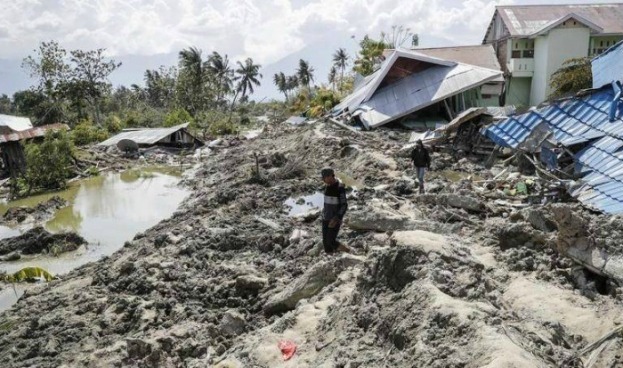 According to the official report of Indonesia’s National Disaster Management Agency, as of September 30, 2018, the earthquake and tsunami in Central Sulawesi have resulted in the deaths of at least 832 people, including 821 from Palu city and 11 from Donggala regency. Another 540 people are severely injured, 29 are missing, and 16,732 people have been displaced. The number of casualties is expected to increase as there are still many people reportedly buried under collapsed buildings. And so we pray this news. . .
earthquake and tsunami in Indonesia. possessions, livestock and pets in this tragedy. specialists who are working in the area. support and encouragement to the victims everywhere. which the people of Indonesia must be feeling. weather the long storm of recovery and personal renewal. to find a new place to live and work to help them flourish. For those children separated from their parents. give them shelter with people who care. with our suffering brothers and sisters in Indonesia. as they traverse the long hard road to recovery.